Simbla allows you to import your own data to your online database table. 1. The file format you are uploading is CSV (Comma-Separated Values). 2. Every field name in your CSV file matches a field name in the designated table. 3. The file has a maximum of 5,000 rows. To start, go to your table and press the Import button. In the new window that opened, select or drag your file to the designated area. After doing so, you will see a short preview of your data. Make sure it all appears correctly! That’s it! Now you can use your imported data with all of our widgets and apps! 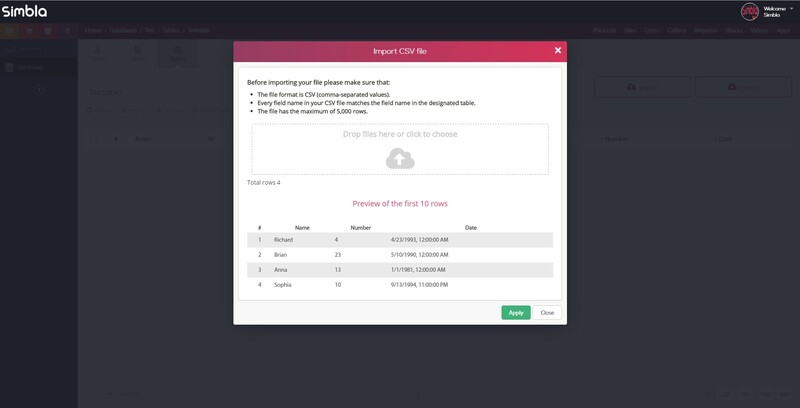 Simply hit the export button and save the CSV file on your device. 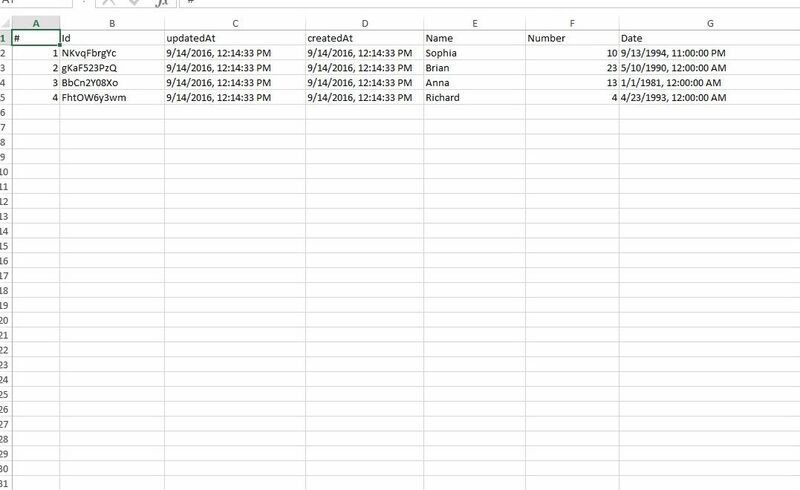 The file will consist of the complete table, including the three extra fields (Id, updatedat, createdat).